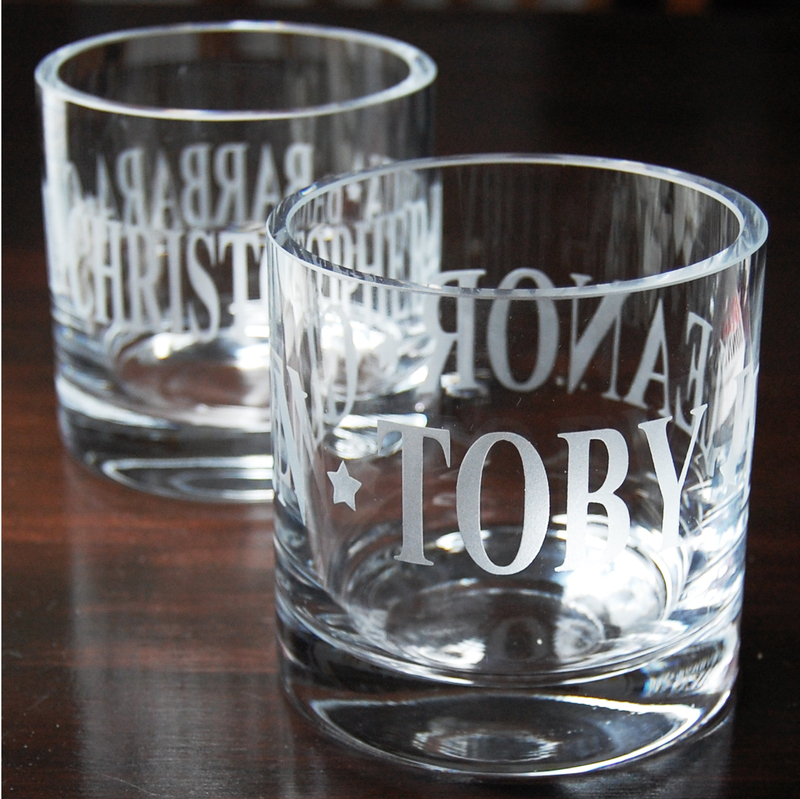 Personalised tealight holder. 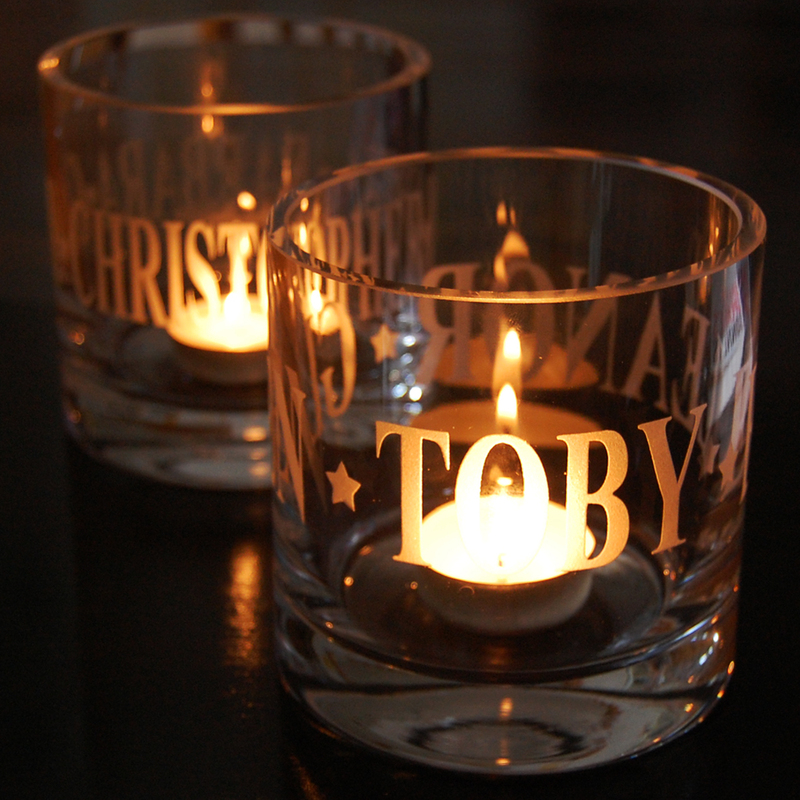 Names of your choice wrapped around this tealight holder, separated by stars. Please send me a message to let me know the names that you would like. 10cm high and 10cm diameter.